Hey guys, here’s the recipe I’ve been promising you. It’s my Healthy Breakfast Cookies Recipe. 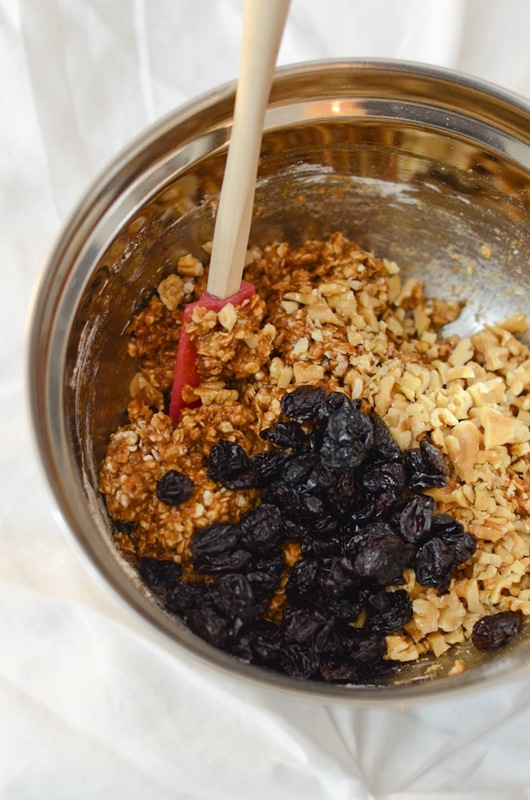 This is a whole grain recipe made with dried tart cherries and walnuts. 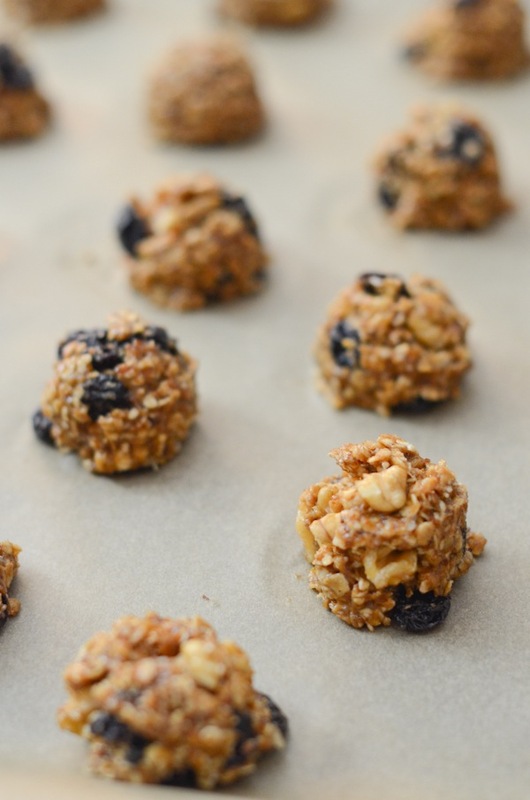 While you can enjoy these for breakfast, they also make for a healthy dessert. Basically, they’re good any time of day! I first started working on a breakfast cookies recipe for you guys several years ago. But it got lost somewhere along the way. There was a piece of paper with my recipe notes, but I can’t even find that now. Lol! So, I went with a new approach. 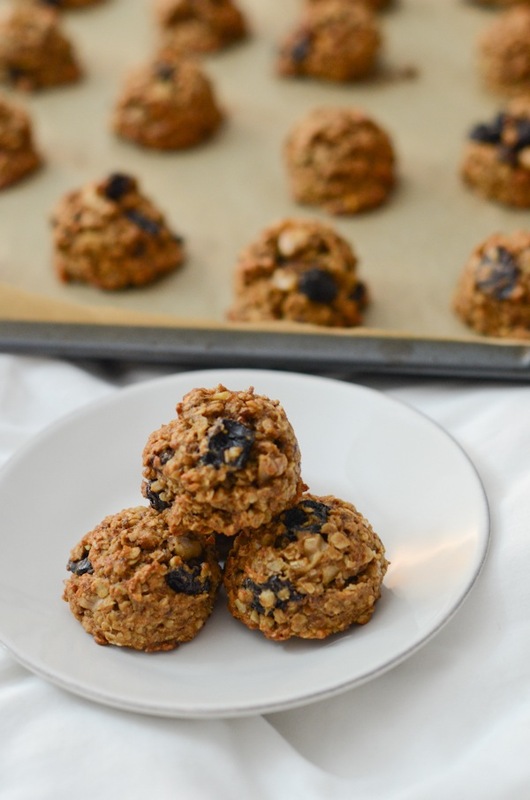 For this recipe, I converted my Just Right Oatmeal Chocolate Chip Cookies to a healthy version. 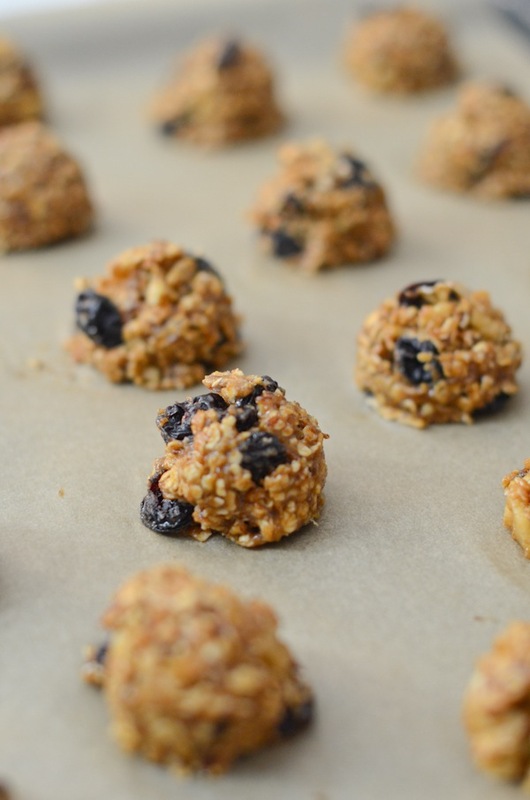 Switch this Healthy Breakfast Cookies Recipe up by substituting your favorite dried fruit and/or nuts. Note: I used Bob’s Red Mill spelt flour, and it was nice and hearty. Opt for that if you want a whole grain version. The cookies didn’t flatten out much, which was okay with me. But you can press them down if you want a more traditional cookie shape. 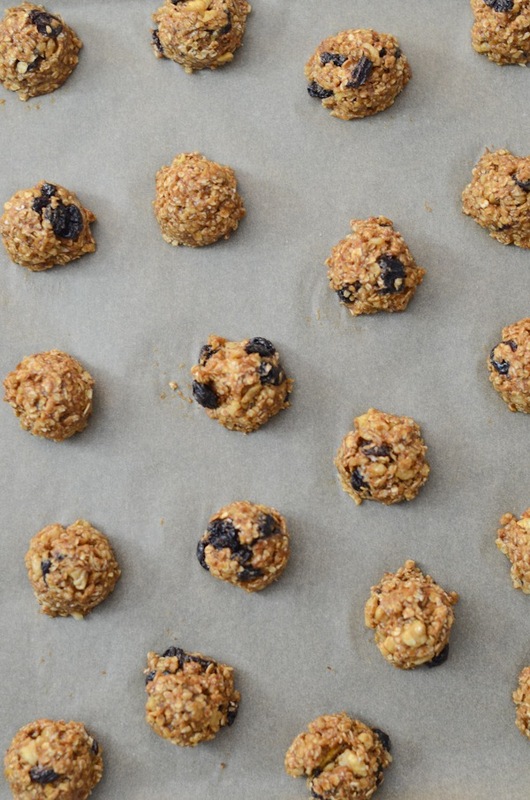 Make this Healthy Breakfast Cookies Recipe for breakfast…or dessert! Your choice! They also make for a great snack any time of day. Pre-heat oven to 350 degrees F. Prepare one large (or two small) baking sheet(s) with parchment paper. Note: I could bake all the cookies in one batch with 1 large baking sheet because mine did not spread out. In a large bowl, add oats, spelt flour, salt, and baking soda. Whisk to evenly combine. In a medium bowl mix banana, oil, and coconut sugar. Add the flaxseed egg and vanilla. Whisk to evenly combine. Pour wet mixture into dry mixture and gently mix with a large spatula. Fold in walnuts and cherries. Thanks for stopping by! 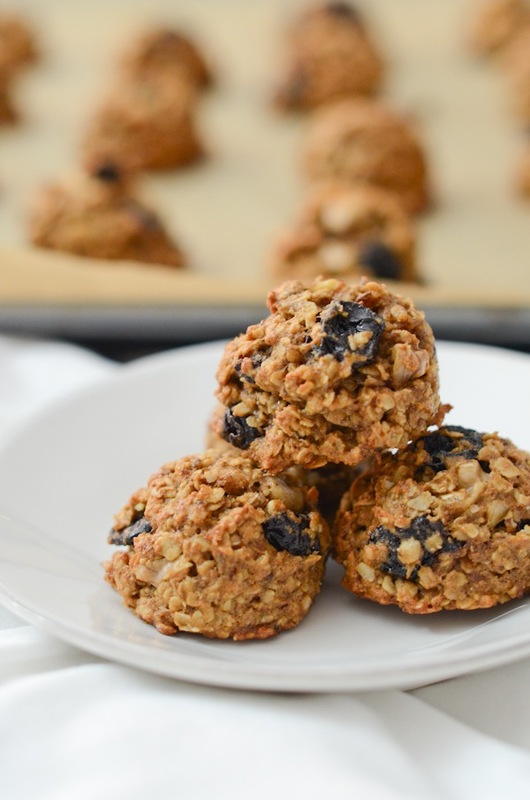 Hope you enjoy these Healthy Breakfast Cookies!